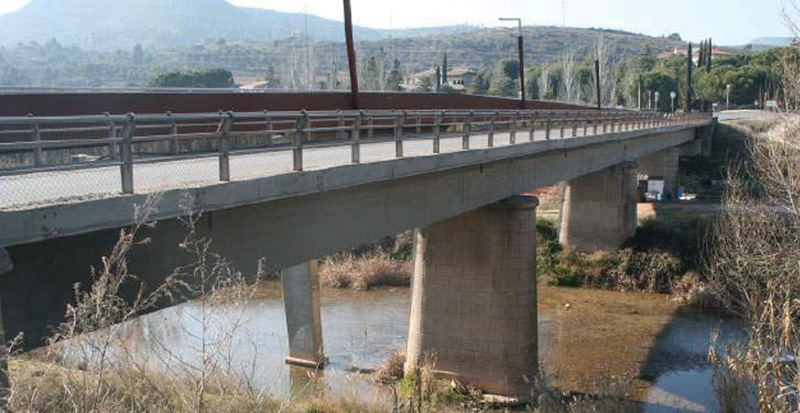 The Bridge on San Mateu del Bages Highway over Cardener River was built in the early thirties. During the Civil War was destroyed, so that the current structure is the result of reconstruction that was done in the early forties. 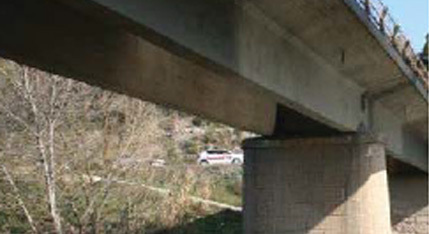 This board consists of a reinforced concrete π shaped cross section, supported on piles of concrete mass. The total length of the board is 91.6 meters and its width is 6.2 meters. 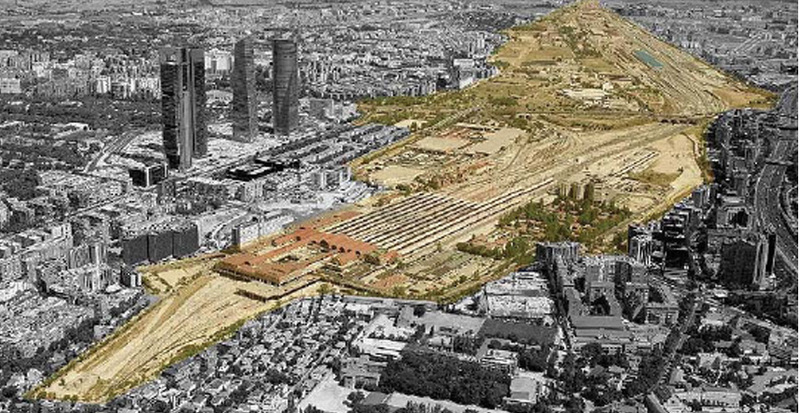 In 2010 the Barcelona Provincial Council commissioned a study of alternatives to the company INES to study solutions to the current problems of the bridge. 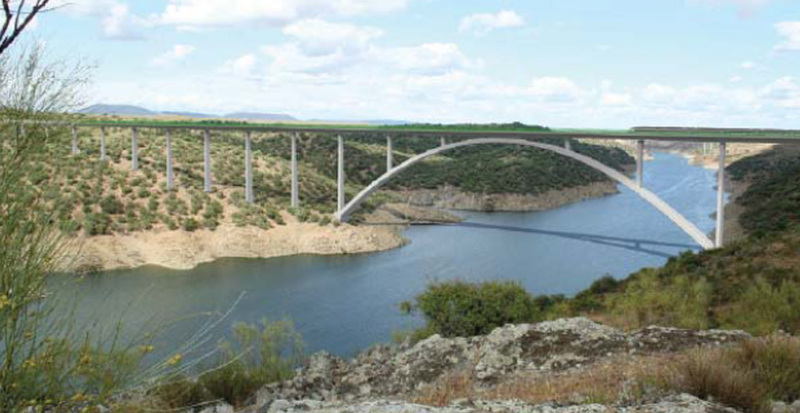 In this report three proposals were made: replace the existing bridge board with a new one, preserving, but his temper and piles of it, build a new bridge with steel deck or perform a new bridge with a concrete deck. 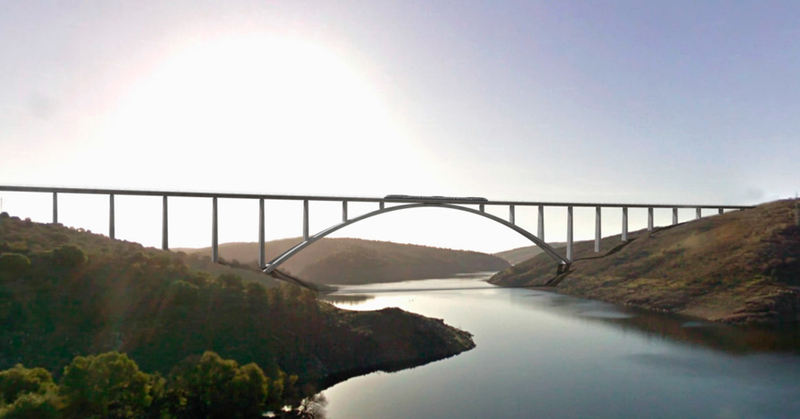 The new board is constituted by a metal structure formed by four continuous longitudinal girders, armed from weathering steel plates; the two central section with a double Tshaped and the side with a Z-shaped section, which confer to the side views of the panel possibly its characteristic appearance.